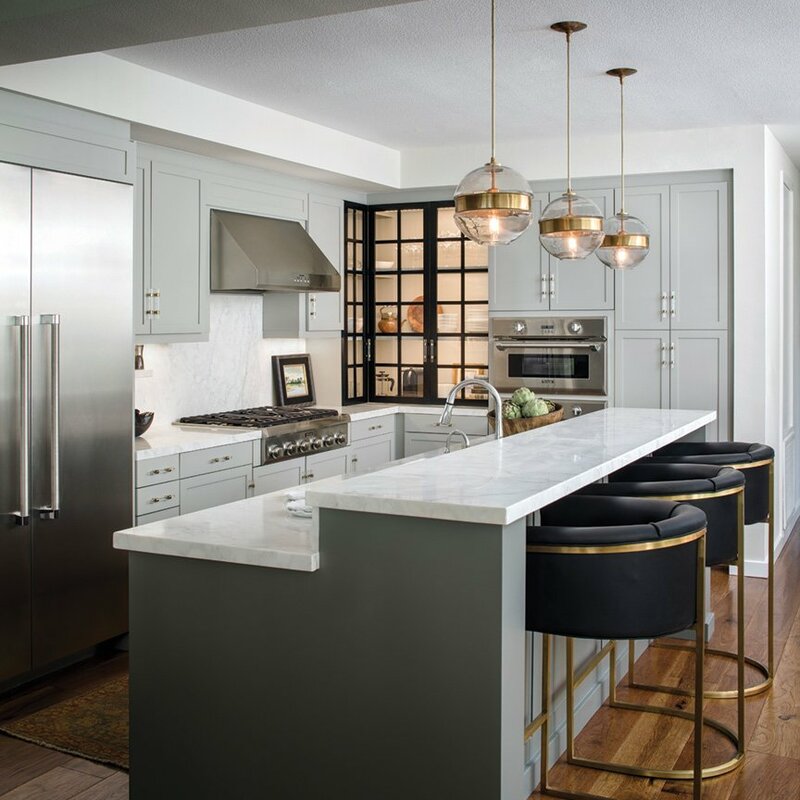 A subtle use of brass in hardware, barstools and pendant lights “gives a nod to the current brass trend but the material is placed in such a way as to provide a classic and art-deco-like historic feel,” designer Corine Maggio says. 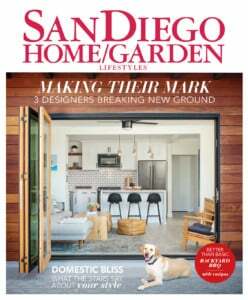 When homeowners Alison and Sean Ericson presented Corine Maggio of CM Natural Designs their inspiration images of mostly white kitchens, Corine proposed something else: a black kitchen. At first, the couple loved the look but after sleeping on it, they got apprehensive. 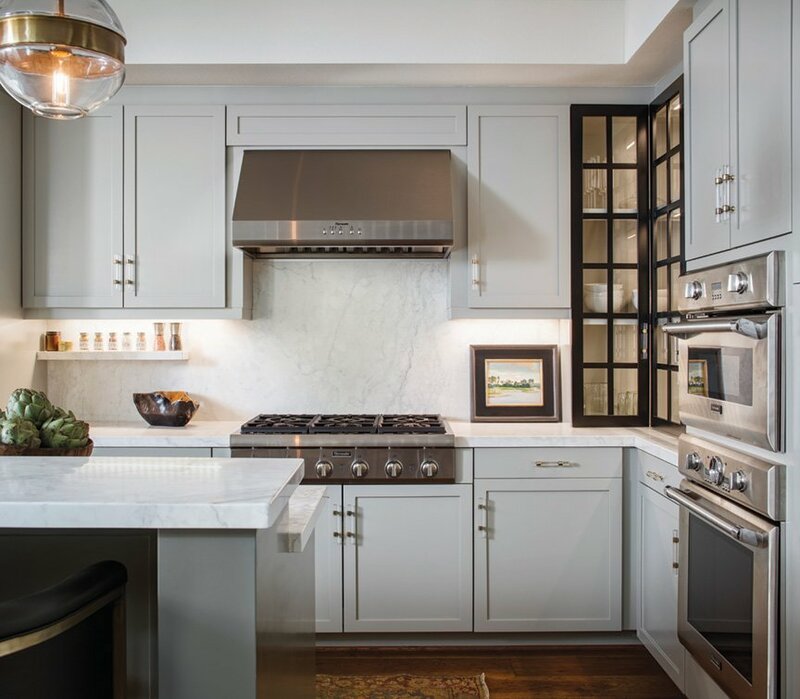 A marble counter and backsplash with gray undertones complement the cabinet color. 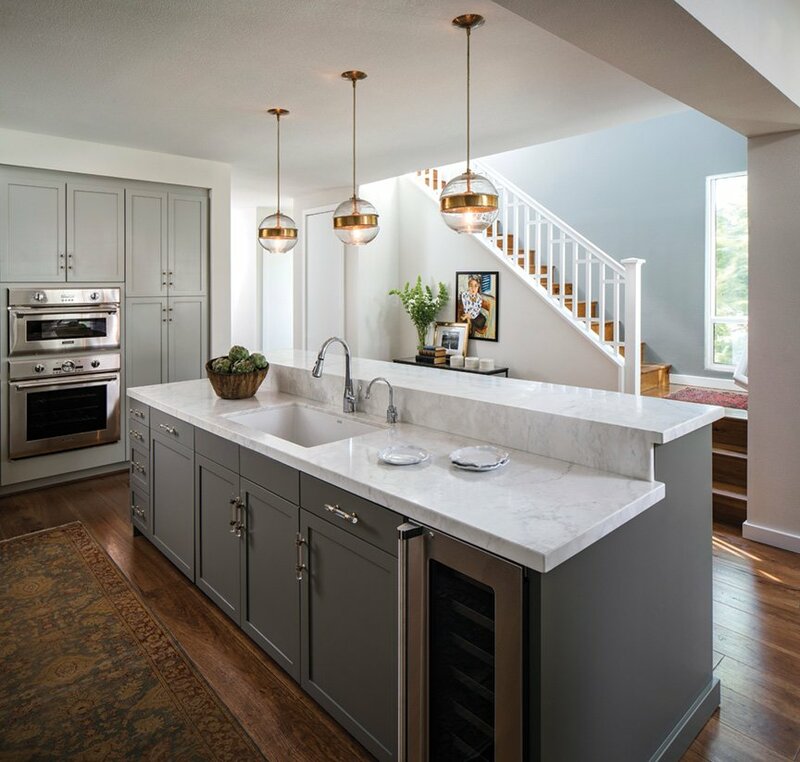 The compromise they landed on was a simple putty gray— which they used on cabinets and on the Italian marble countertop and backsplash—with a few added brass accents. 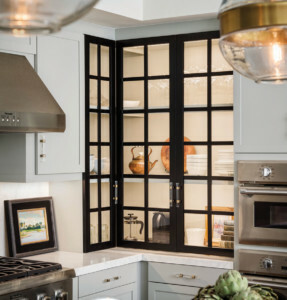 Glass cabinets with a black frame create a moment of surprise. 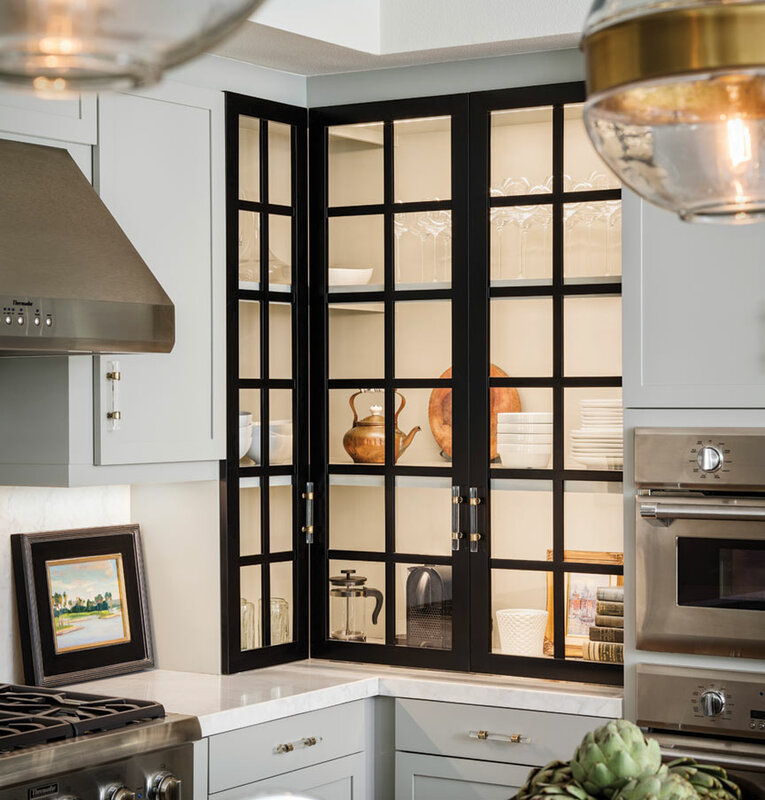 The black stools balance out a glass, black-framed, piano-hinged corner cabinet that makes use of dead space and provides a spot for Alison and Sean to showcase glassware and heirloom pieces like Alison’s grandmother’s tea kettle and ceramic vase. Hickory flooring provides organic balance for the space.